Three years into their hops-growing business, Karen and Kevin Broderick realized they needed to buy their own harvester, rather than rent one from a friend. The timing of hops harvesting is so precise that they could no longer rely on the availability of someone else's machine to meet the demands of their brewery customers. But the Brodericks, who own Whitefield Hop Yard farm in East Hardwick, had already taken out bank loans to cover the cost of other equipment and the purchase of additional property. "We were maxed out," Karen Broderick said, and their farm had yet to make a profit. She knew of the Vermont Community Loan Fund and its Sprout program, which offers low-interest loans and deferred payments to budding entrepreneurs who work the land. So the Brodericks met with a lender, went over their operation and finances, and secured $30,000 for the harvester in 2018. By the end of last year, Whitefield Hop Yard had produced 800 pounds of hops and sold all of it. "What they did for us is huge," Broderick said of VCLF. "If we didn't have the harvester, we wouldn't have had our business ... We wouldn't have been able to bring our crop to market." VCLF invests in ventures throughout the state that bring economic benefit and services to underserved communities. It provides loans and other resources to businesses, entrepreneurs and organizations that otherwise would have trouble securing financing from traditional lenders, such as banks. Loan recipients include startups that have yet to turn a profit or have limited cash flow but that create jobs, fill a needed niche or stimulate other business development. 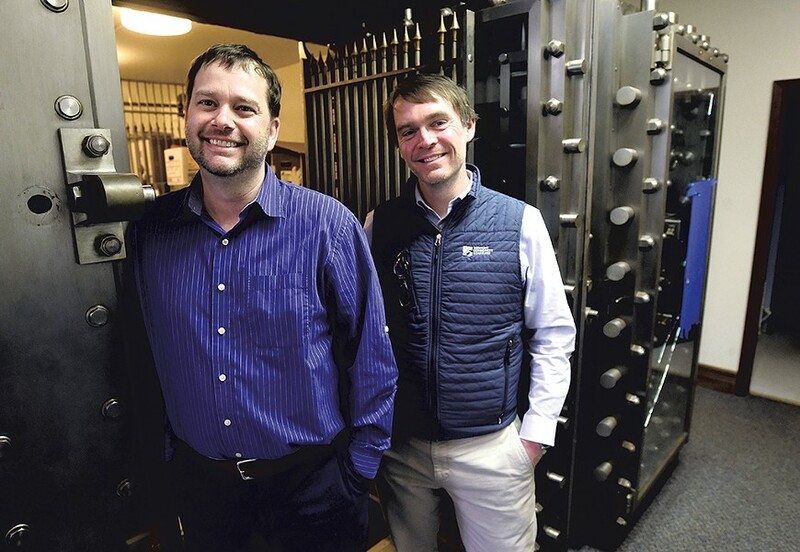 Based in Montpelier, VCLF currently holds 278 loans, representing more than $31 million, to about 180 borrowers, said Jake Ide, director of investment and philanthropy. It focuses on affordable housing; nonprofit organizations that serve low-income families; childcare and early learning services; and food, farms and forests. Conventional lenders often turn away daycare centers, for example, which are considered high financial risks, as well as builders of low-income housing, which take in rent at below-market rates. "These are really the areas [in which] we have found that capital — and flexible, patient capital — is a hurdle," said executive director Will Belongia. "We've found a need for capital that is not necessarily being filled by traditional banks." Since its founding in 1987, VCLF has provided almost 1,100 loans totaling $108.4 million, Ide said. It has had a financial hand in many Vermont success stories, including the Skinny Pancake, Outdoor Gear Exchange, Mamava, Champlain Housing Trust, Aqua ViTea Kombucha, the Intervale Center, SunCommon, Vermont Smoke & Cure, Danforth Pewter, Butterfly Bakery of Vermont and American Flatbread. VCLF has supported construction of 4,188 affordable homes and helped create or preserve about 6,500 jobs, by the organization's count. "Five good jobs is a success story for us," Ide said. "One sole proprietorship — where a woman creates a business and that business is sustainable, and she's able to support her family, build wealth — that's a success." More than 50 percent of VCLF's loans go to women-led operations, Ide noted. Most of the money VCLF lends comes from Vermonters who invest amounts ranging from $250 to $1 million or more. The current pool of 408 individual and institutional investors places money in accounts similar to certificates of deposit. 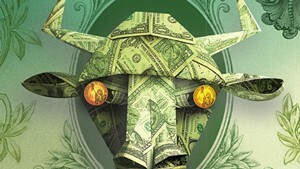 Investors choose from an array of accounts with fixed maturity and interest rates, which range from 1 to 3 percent. Investing with VCLF is an alternative to a bank savings account. Though loans are not backed by the Federal Deposit Insurance Corporation, they rest on VCLF's track record: It has repaid every investor in full. Rather than park cash in a bank, investors can put it to good use. "The folks that are coming to the loan fund are looking for that financial return, just like any investors, but they're looking for more than that, and they expect more than that," Ide said. "They want to be able to keep their money locally, have it be put to use in the community in which they live." VCLF is a Community Development Financial Institution, a federally designated term for lenders that provide otherwise hard-to-secure capital for ventures that bring economic development and essential services to disadvantaged communities. Vermont's other CDFIs include Community Capital of Vermont in Barre, Neighborworks of Western Vermont in West Rutland and Opportunities Credit Union in Winooski. CDFIs fall under the rubric of socially responsible, values-based or impact investing, through which investors aim to solve social, environmental and other problems. They want to nurture local companies, address climate change, protect the environment or support businesses that treat their employees well. That's why Katie Michels decided to invest a little bit of her savings — she declined to say how much — with VCLF. The 26-year-old is program coordinator for the Vermont Farm & Forest Viability Program of the Vermont Housing & Conservation Board. She sought to support VCLF's commitment to ventures in food, farms and forests, which are "not always valued by the marketplace," she said. "It's better invested in businesses that are doing work on the land," Michels said of her money, "rather than sitting in some bank account." VCLF won't give investors the biggest payoff. Returns can be low and slow, depending on the account terms. "This obviously isn't for someone who is scraping by or needs to have a return in terms of funding their retirement," said Michael Huffman, president and founder of financial advisory firm Rock Point Advisors in Burlington. Small vehicles such as VCLF typically aren't included in large investment packages, so it's not easy for big investors to get into them, Huffman said. Nonetheless, many of Rock Point's clients are looking for socially responsible options in their portfolio mix, and the firm itself has invested in VCLF, he said: "All our investors understand that getting a return doesn't always have to come in dollars." Investment isn't charity. However, VCLF is a nonprofit that accepts donations to support operations that don't bring in revenue. It collected nearly $990,000 in charitable contributions and federal and state grants in 2017, just over a third of its total revenue, according to its most recent IRS Form 990, available on its website. The bulk of VCLF's revenue comes from interest and fees on the loans it provides — almost $1.8 million in 2017. VCLF and its fellow CDFIs aren't the only way for Vermonters to invest in community enterprises. The Flexible Capital Fund, managed by the Vermont Sustainable Jobs Fund, links equity investors with innovative startups in the green economy, particularly in rural areas. Milk Money, an equity firm that became part of Vermont Innovation Commons last year, allows small-scale investors to support early-stage Vermont businesses that hope to grow. Milk Money cofounder Louisa Schibli views VCLF not as a competitor but as a valuable way of channeling Vermonters' money into emerging enterprises. And too few people know about it, she said. "We're all trying ways to support our businesses and keep our money in Vermont," Schibli said. "VCLF is like a hidden gem of a way to have Vermonters invest." VCLF is also among the oldest organizations in the state to encourage small-scale, locally focused investing. It was founded by a group of socially conscious Vermonters who had gathered in the mid-1980s to discuss divestment from South African apartheid and began to consider how individuals could instead direct their money toward altruistic efforts. That group started VCLF initially to finance affordable-housing projects — which still comprise about 40 percent of VCLF's loan portfolio, Belongia said. Next came loans for nonprofit organizations that target low-income families; these currently comprise about 25 percent of the organization's loans. Food, farms and forests now represent another 25 percent of borrowers; childcare operators, the remaining 10 percent. By lending to unproven entrepreneurs in sectors that tend to have higher rates of failure or tighter margins, VCLF does take on more risk. But the fund mitigates that risk by hand-holding the borrowers who need it. "One of the common ways that we get repaid is by them being successful. It's not by us going in and taking the asset and selling it," Belongia said. "We become patient and give you the flexibility and the help so that you're successful." VCLF's 16-person staff includes two business coaches who advise loan recipients on financial management, marketing, budgeting and technology resources. VCLF requires regular communication from business owners so that it knows who might be running into trouble. "They're working with you, not against you," said Broderick, the hops grower. "You have to prove to them that you are going to pay this money back, but they want to help you, and they want to hear from you." The hand-holding seems to work. VCLF has kept its losses to approximately 2 percent of total dollars loaned. The U.S. banking industry's average loan losses are smaller, around 0.5 percent, though they shot up to more than 3 percent during the recession, according to data from the Federal Reserve Bank of St. Louis. None of VCLF's losses come out of investors' pockets; VCLF maintains a capital reserve fund that comes from its loan interest income. Kevin Toohey plans to reach out to VCLF for guidance on setting up the accounting and management systems for his family's business, NU Chocolat, which opened in Burlington in February. Toohey, his wife, daughter and son had operated — but not owned — Bijou Fine Chocolate in Shelburne until it suddenly closed amid a dispute between the owner and landlord. When they sought to start a new fine-chocolates factory, with no money and no record of ownership to show from their years at Bijou, bankers turned them away, Toohey said. VCLF didn't. Its lenders acknowledged the Tooheys' cooking experience, industry knowledge and success bringing customers to the back of a Shelburne industrial park, despite no street-facing presence and no foot traffic. VCLF partnered with the Vermont Economic Development Authority, which provided half of the $190,000 loan and shared the risk, to finance NU Chocolat. "I can go to them when things are starting to get difficult, and they're going to provide some level of support," Toohey said. "They're looking at how can we help these people as an important part of the community." The original print version of this article was headlined "Sharing the Wealth | The Vermont Community Loan Fund supports values-based investing"